Knobs-Etc.com offers Agave Ironworks and their Distinctive Rustic Iron Decor products. Per Agave Ironworks, "Agave Ironworks, located in San Diego, California and Tecate, BC, Mexico, has a mission is to create and provide you with the most authentic rustic iron hardware available, staying true to the hacienda tradition. We pay attention to the texture, depth and beauty of the timeless style of a classic Tuscan Villa or Spanish Hacienda. The distinctive feeling of the hacienda lifestyle will embrace you as you see and touch an Agave Ironworks creation. Here you will find quality-handcrafted pieces that have been created by the sensitive hands and hearts of Hispanic master craftsman, leaving a lasting impression and adding to the beauty of your" project. 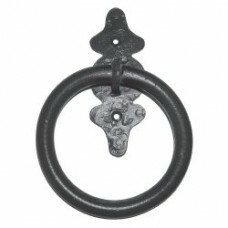 The 6 Point Back Smooth Ring Door Knocker (7-1/2 x 5-1/2 diameter) (KN011) is available in the 01 Bl.. The 6 Point Back Smooth Ring Door Pull (7-1/2 x 5-1/2 diameter) (PU016) is available in the 01 Black.. The 6 Point Back Twisted Ring Door Knocker (7-1/2 x 5-1/2 diameter) (KN013) is available in the 01 B.. 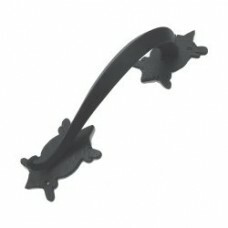 The 6 Point Back Twisted Ring Door Pull (7-1/2 x 5-1/2 diameter) (PU017) is available in the 01 Blac.. 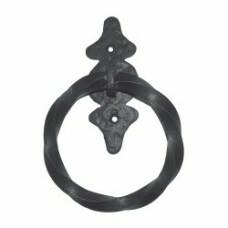 The Arch Decorative Strap (17 x 3/4) (ST025) is available in the 01 Black Powder Coat, 02 Brownish R.. 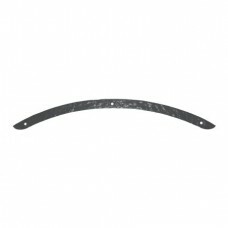 The Arco Grande Door Pull (18 x 2 x 3-1/2) (PU048) is available in the 01 Black Powder Coat, 02 Brow.. 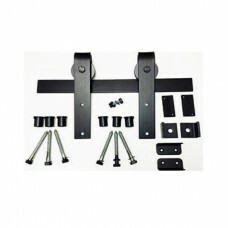 The Arrow Kit Barn Door Kit (RH024 & RH001-7) is available in the various finishes and is part of th.. The Basic Distressed Radius Barn Door Kit (RH007) is available in the various finishes and is part o.. The Basic Distressed Square Barn Door Kit (RH003) is available in the various finishes and is part o.. The Basic Smooth Radius Barn Door Kit (RH005 & RH024) is available in the various finishes and is pa.. The Basic Smooth Square Barn Door Kit (RH001 & RH022) is available in the various finishes and is pa.. 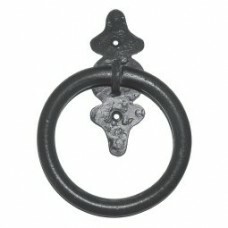 The Bell Back Door Knocker (6 x 3-1/2) (KN001) is available in the 01 Black Powder Coat, 02 Brownish.. 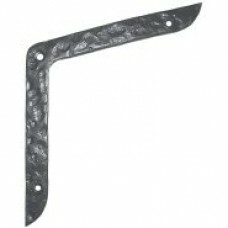 The Corner Angled Decorative Strap (6 x 6 x 3/4) (ST029) is available in the 01 Black Powder Coat, 0.. 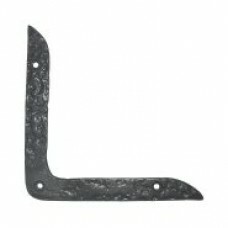 The Corner L Decorative Strap (6 x 6 x 3/4) (ST027) is available in the 01 Black Powder Coat, 02 Bro.. The Cuadrado Door Pull (18 x 2 x 3-1/2) (PU052) is available in the 01 Black Powder Coat, 02 Brownis.. 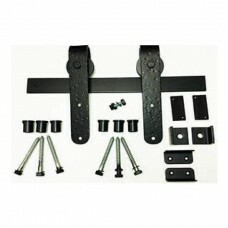 The Desert Trails Flat End Strap Hinge (12 x 1-1/2) (ST009) is available in the 01 Black Powder Coat.. The Desert Trails Flat End Strap Hinge (18 x 1-1/2) (ST011) is available in the 01 Black Powder Coat.. 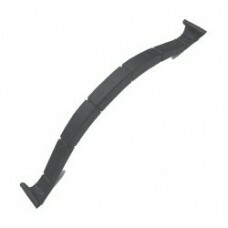 The Desert Trails Flat End Strap Hinge (24 x 1-1/2) (ST013) is available in the 01 Black Powder Coat.. 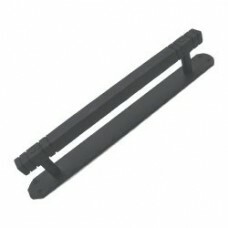 The Desert Trails Flat End Strap Hinge (30 x 1-1/2) (ST015) is available in the 01 Black Powder Coat.. 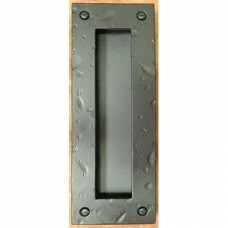 The Distressed Faux Hinge (3-1/2 x 2-3/4) (ST033) is available in the 01 Black Powder Coat, 02 Brown.. 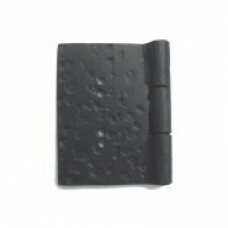 The Distressed Flush Pull () (PU005) is available in the 01 Black Powder Coat, 02 Brownish Rust Powd.. The Distressed Flush Pull () (PU007) is available in the 01 Black Powder Coat, 02 Brownish Rust Powd.. 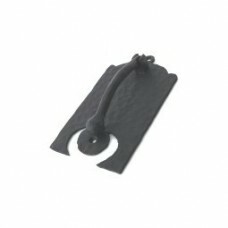 The El Toro Door Pull (14 x 4-1/2 x 3-1/2) (PU056) is available in the 01 Black Powder Coat, 02 Brow.. 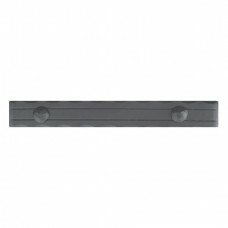 The Espina Door Pull (15 x 3-1/2 x 3-1/2) (PU058) is available in the 01 Black Powder Coat, 02 Brown.. 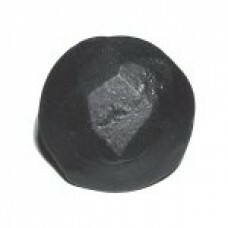 The Extra Large Round Pounded Clavos (2 diameter) (CL008) is available in the 01 Black Powder Coat, ..